Silicone-compatible sealing liquid sheath free of solvents, for a flexible sealing to apply under finishes in ceramic located in humid environments. IPAFLEX SUPER is used for the professional sealing of surfaces below ceramic floors in humid environments and for the protection of floor foundations sensitive to humidity. 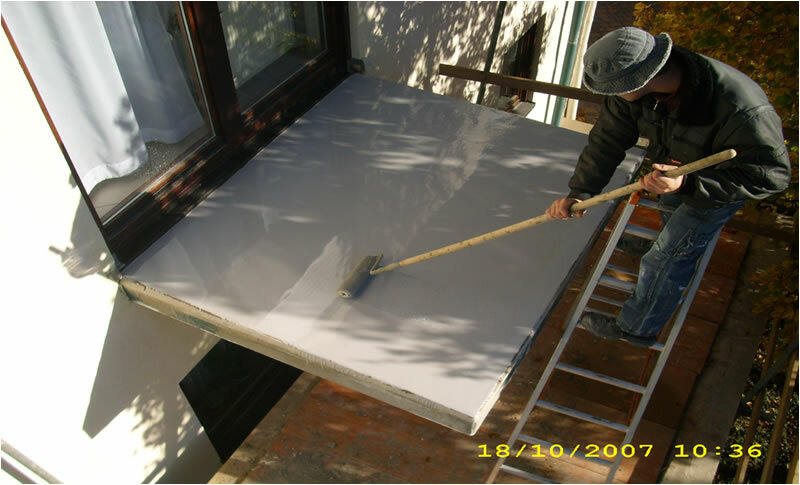 It can be applied on plasters made in cement, lime cement, hydraulic lime, plaster, plasterboard, plaster fibres, concrete, light concrete, porous concrete, chipboard V 100 GE, floors in cement, asphalt, magnesium, old ceramic finishes, anhydrite screeds, composite elements in extruded polystyrene or PVC. Made with butadiene and styrene, free of solvents and ready to use, IPAFLEX can be applied with a roll or spatula; in the sold state, the product is water-tight and silicone-compatible. 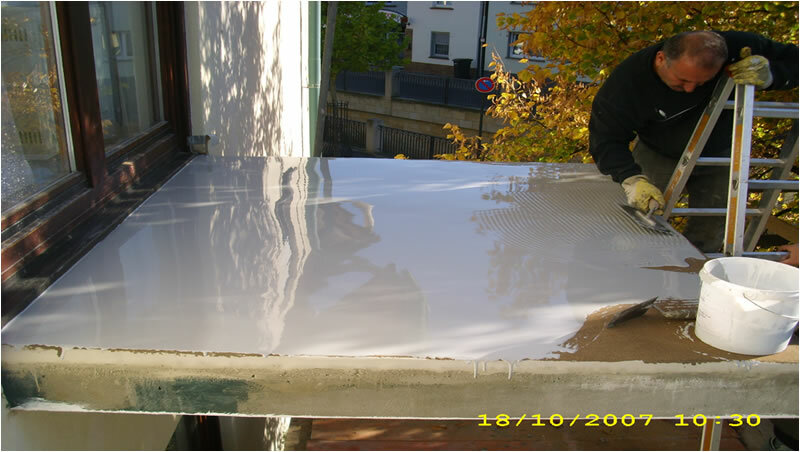 During the application the product is odourless and dries up quickly. The floor foundation must be solid, levelled, free of traces of oil, grease, dust and cracks that cross it. Apply a coat of Primer; should the floor foundation present roughness, do not level it using the sealing agent, but apply a layer of filling concrete. Prior to use, mix well and apply fully and uniformly in two/three coats with the use of a roll or brush. Each layer must be dry prior to apply the next. In the areas subject to cracking hazards, such as corners and pipe troughs, use sealing bands or water stops. Consumption ranges from 350-700 gr. per layer. According to the area from 0.7 to 1.5 kg/square metre (two or three coats). The drying times depend on the surface, air circulation and thickness of the layer. The average drying time is about 3 hours at +20ºC and with 50% relative humidity. Once completely dry, it is possible to apply ceramic finishes with a thin layer of mortar. Wash the tools immediately after use and the dirtied area with water. The products are produced with the best raw materials found on the market to obtain a high quality product. Our warranty concerns the quality of the product and not the applications which are outside our control. The information contained in this sheet is based on our knowledge and experiences. In any case, it cannot be considered as guarantee, neither liability towards us, for the use of our products since the conditions of use are outside our control. Moreover, the Client must check that this sheet and the possible values contained in it are valid for the batch of product that he intends to use, and make sure they are not out-dated by following editions and/or new product formulas. In case of doubt, contact our Technical Office.